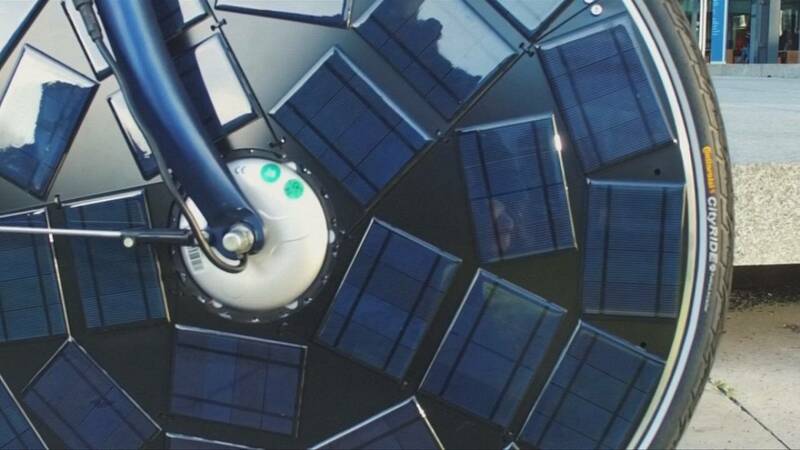 A Dutch startup has teamed up with a group of engineering students to develop a prototype for a new electric bike that charges itself using solar cells on its front wheel, so you’ll never need to plug it in. “This is a product that is capable of recharging itself during daytime or when you are cycling,” said Marc Peters, CEO, Solar Applications. The first solar bikes came onto the market in the late 1980’s, but they had a bulky trailer to carry solar panels. Thanks to new technology, they’re becoming much sleeker. All the power this new model needs comes from solar panels covering the front wheel, and from the rider’s pedaling. It can also make up for low-light conditions, for instance on a rainy day. But for now it’s just a prototype, and it’s expected to cost around 2,500 euros when it’s released in 2018. Cycling has historically been very popular in the Netherlands, where a quarter of all travel is done by bike. And various initiatives are helping riders improve their experience by making cycling safer, easier and even greener. Among them is a bike path that generates power through solar cells embedded in the concrete. It opened a year ago and so far has produced more energy than expected.